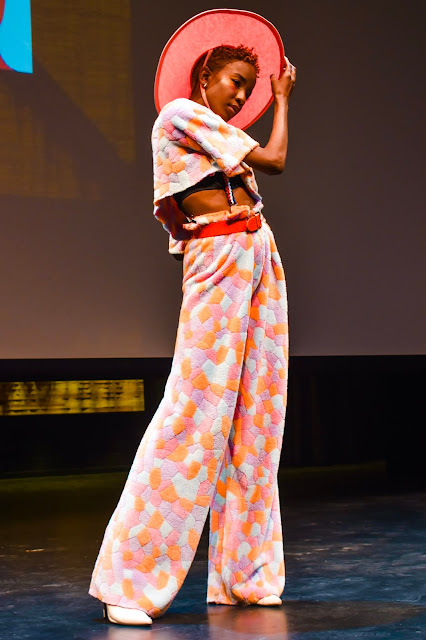 This year's Memphis Fashion Week (MFW) really emphasized Memphis Fashion and I couldn't love it more if I tried. 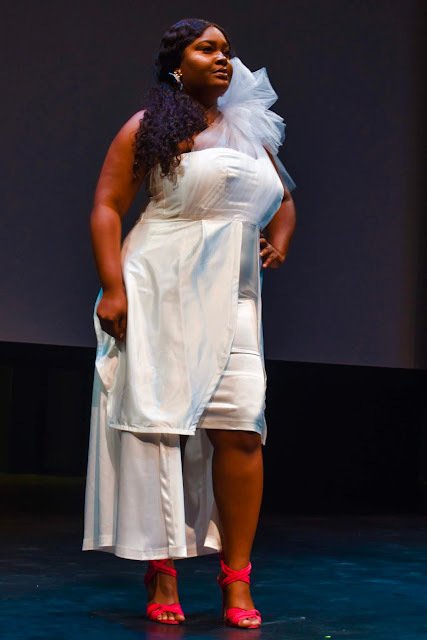 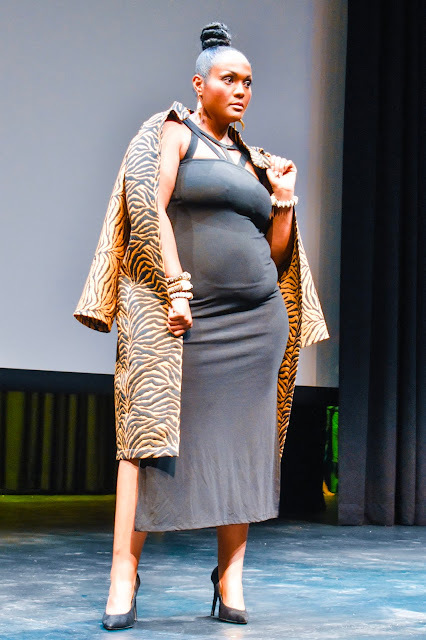 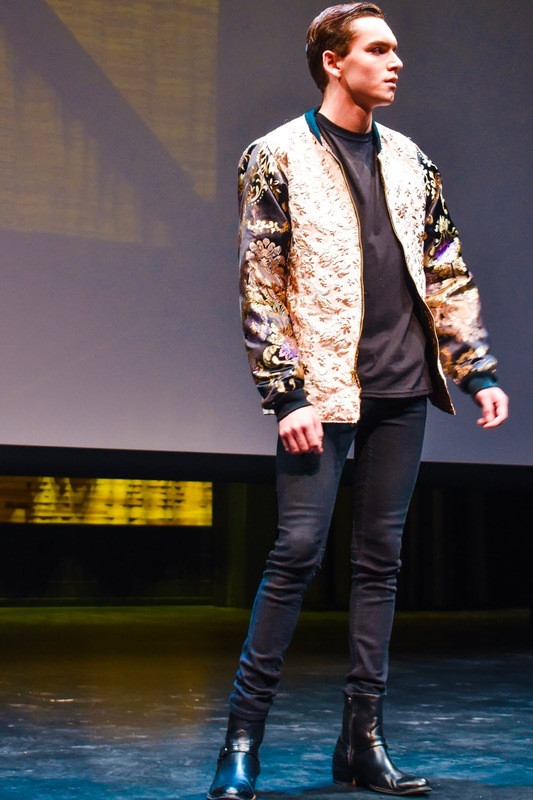 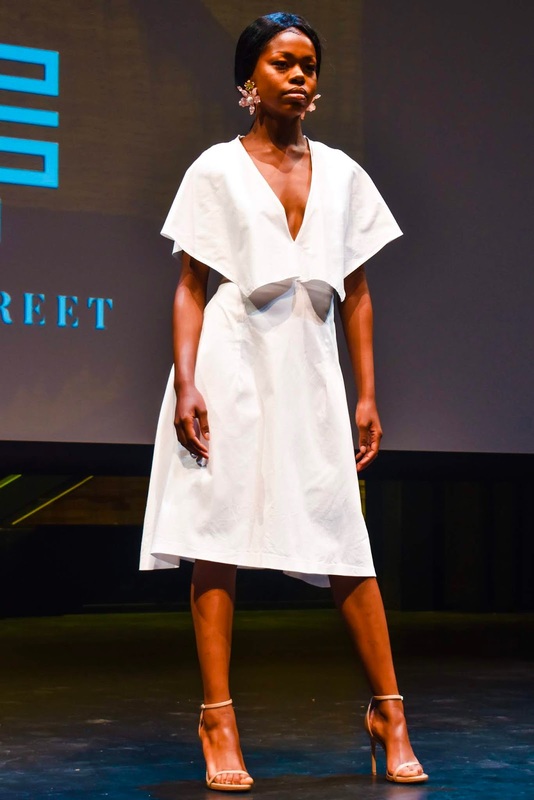 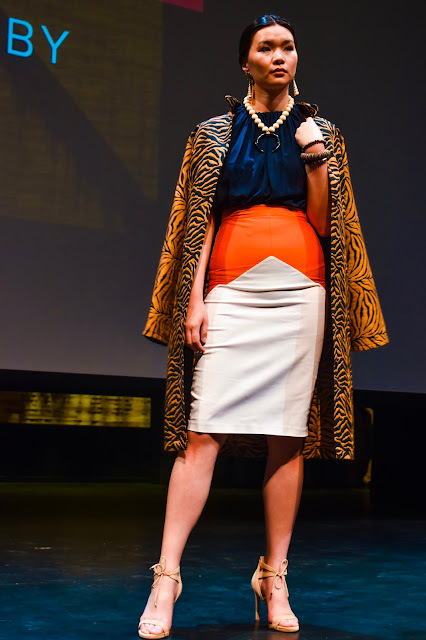 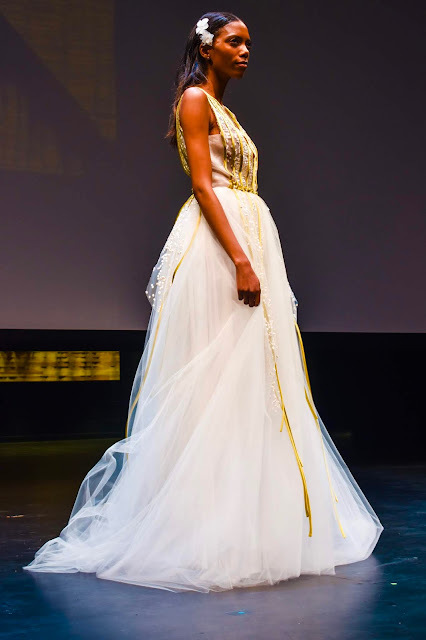 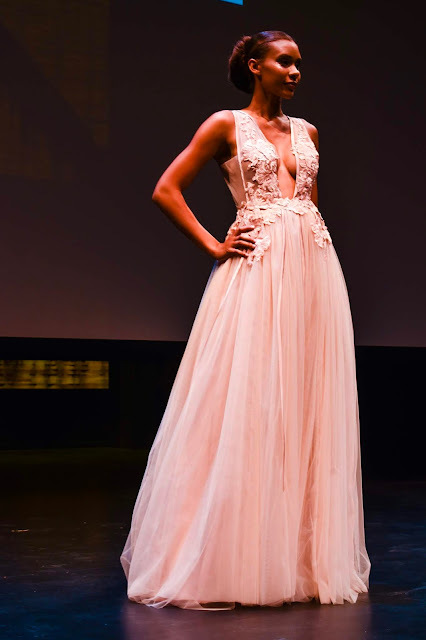 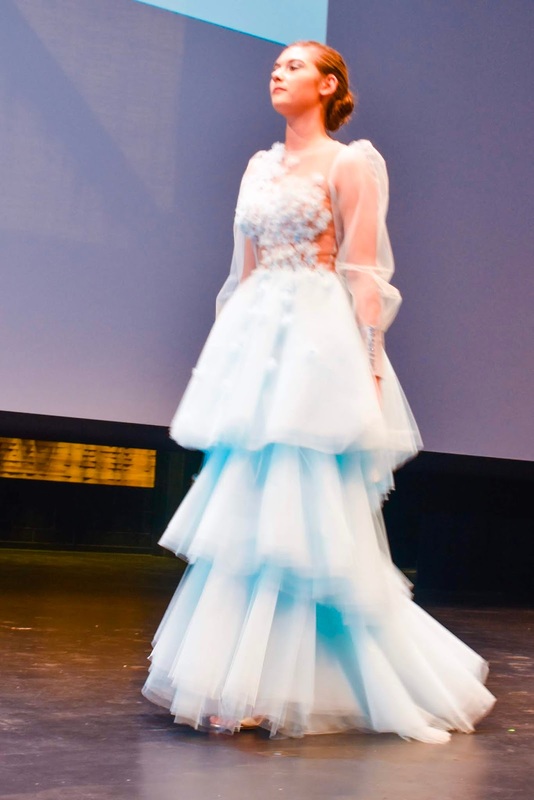 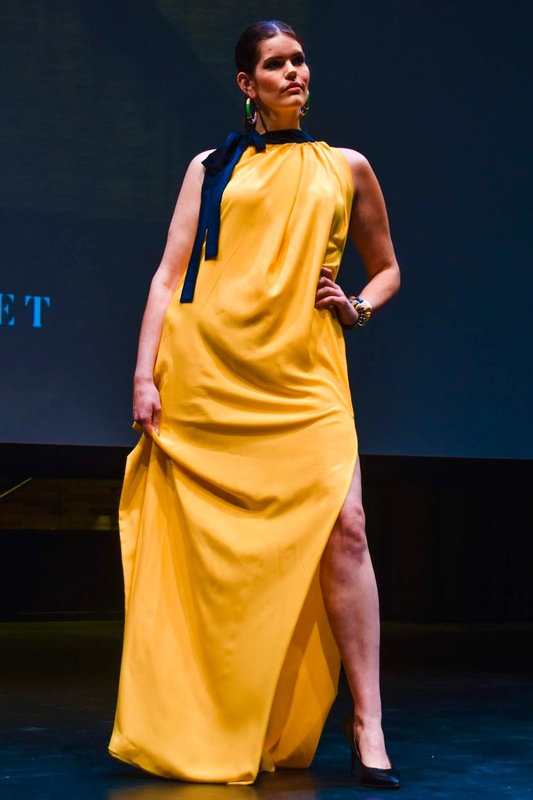 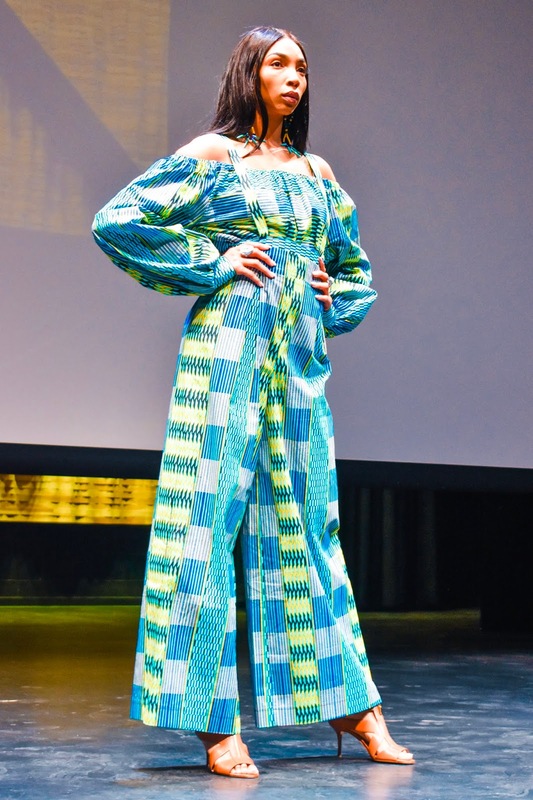 The Friday Featured Designer Runway show featured four local Memphis designers and one regional designer. 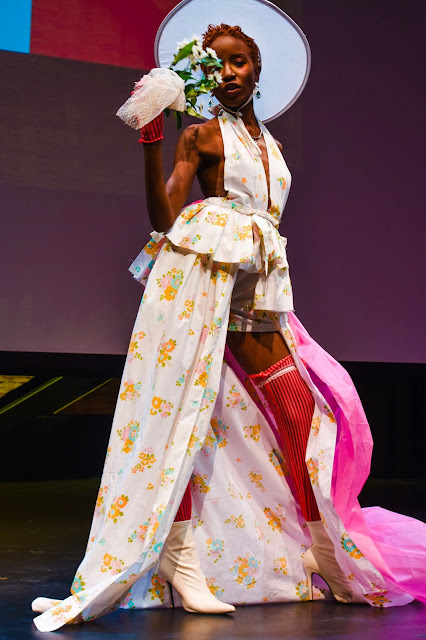 I tried to get a photo of each look but sometimes the models move before the shutter snaps or the pic just doesn't come out good but I hope this (pic heavy) post gives you an idea of all the talent in Memphis and the south! 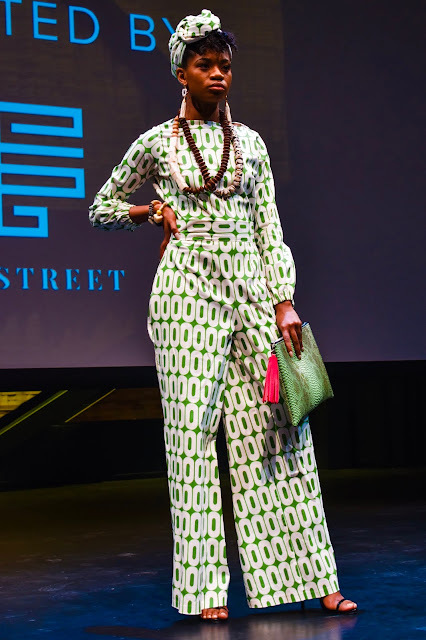 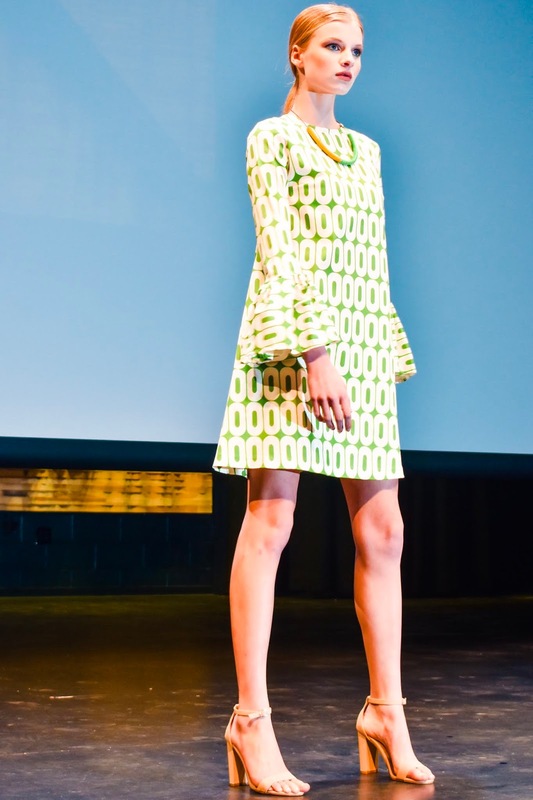 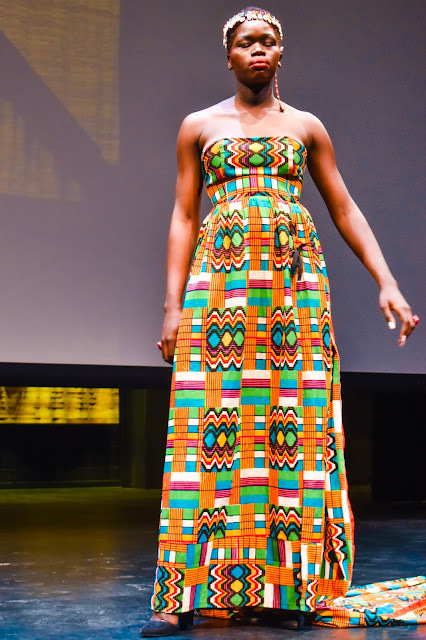 Tangie uses cotton African prints to make beautiful, colorful clothing. 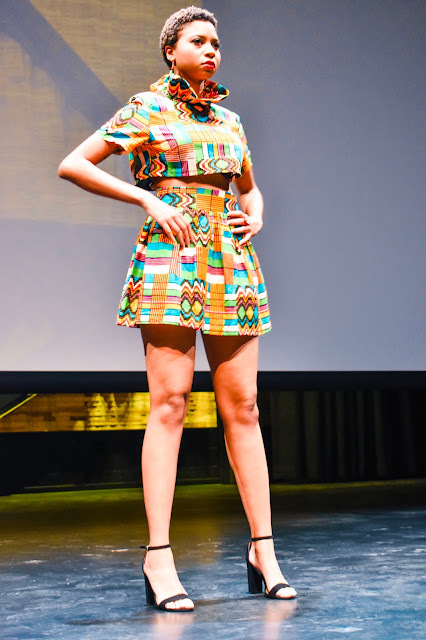 I think these items are just so beautifully made and I love the details. 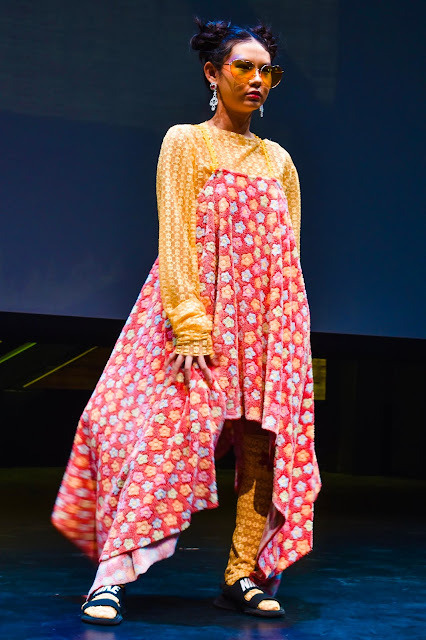 I'll admit that in our politically sensitive world I worry that if I wore such a print it could come off as cultural appropriation instead of appreciation but seeing these looks on the runway has really reminded me that my goal this year it to step outside my fashion comfort zone. 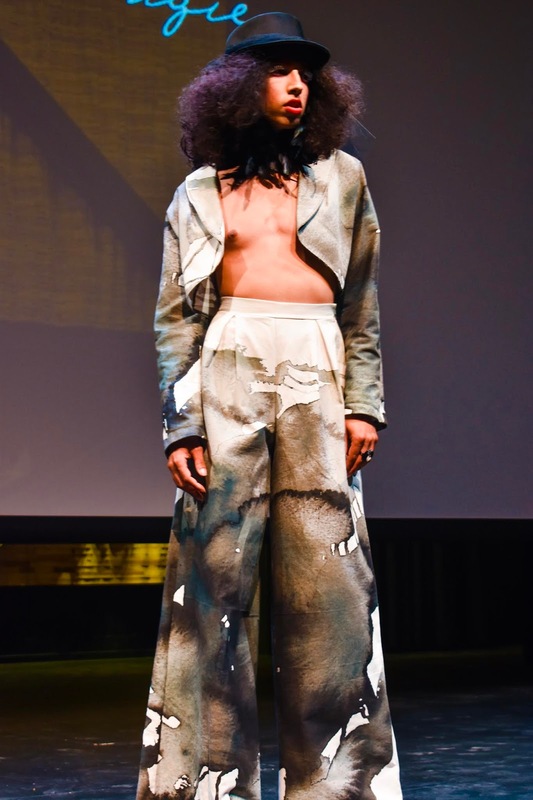 Demi Blvck Designs started as a Emerging Designer Project (EDP) during previous MFW events so it's really cool to see local talent "graduate" to featured designer status. 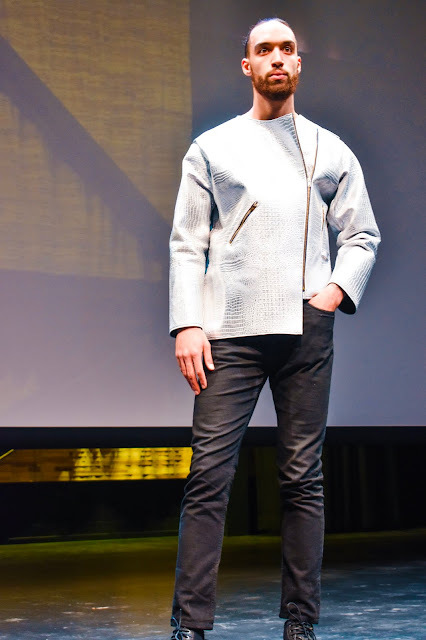 It was also fun to see some menswear as part of the show - not that I could ever get my husband to wear something so fashion forward. 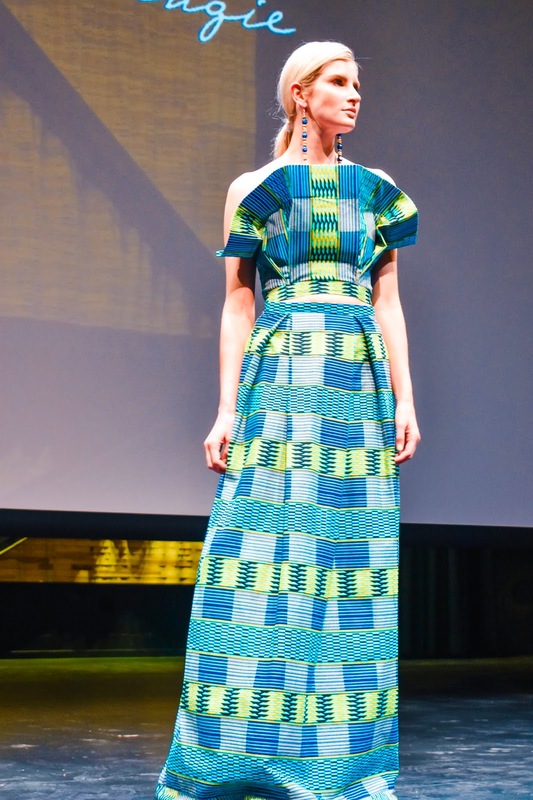 I love the use of beautiful patterns and textures in this collection. 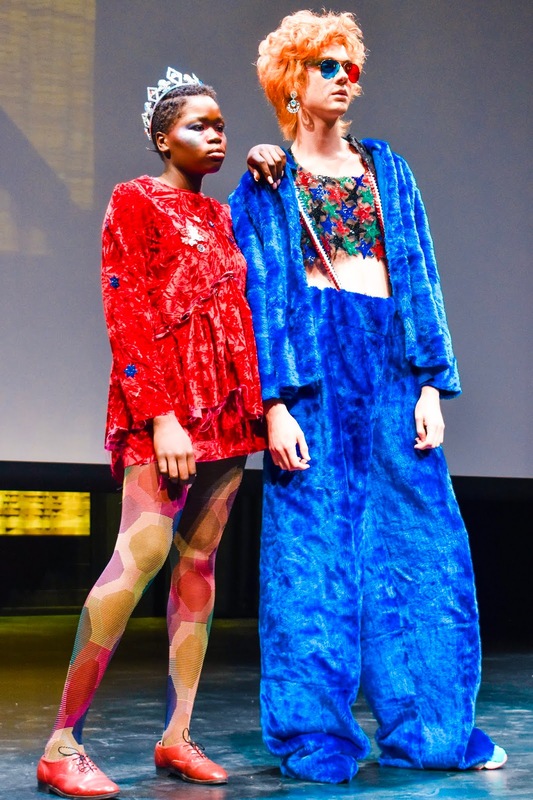 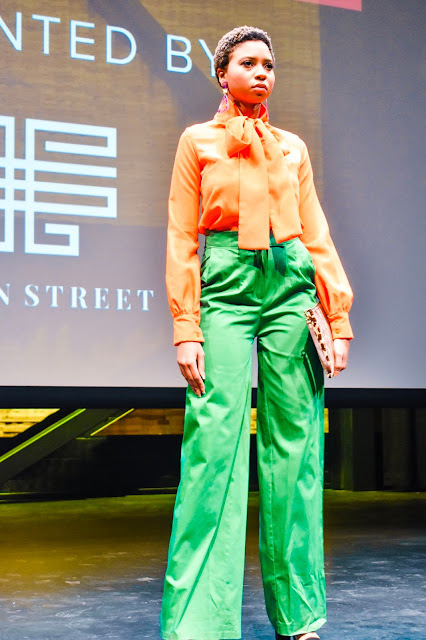 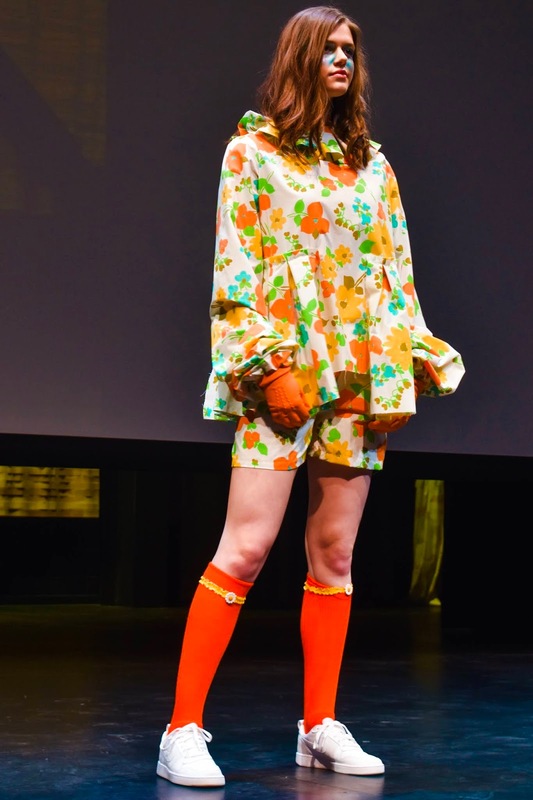 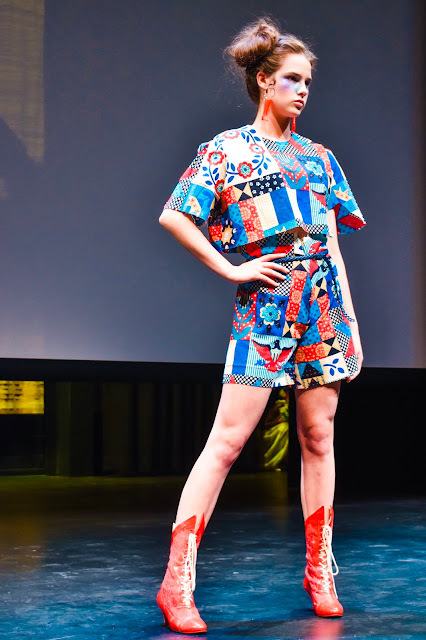 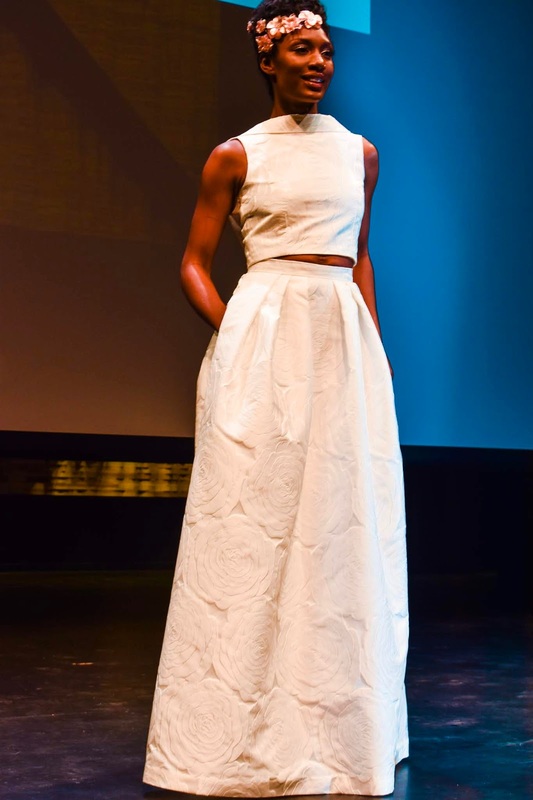 Austin, TX designer Sloane is only 22 years old and this year's MFW featured her 8th collection! 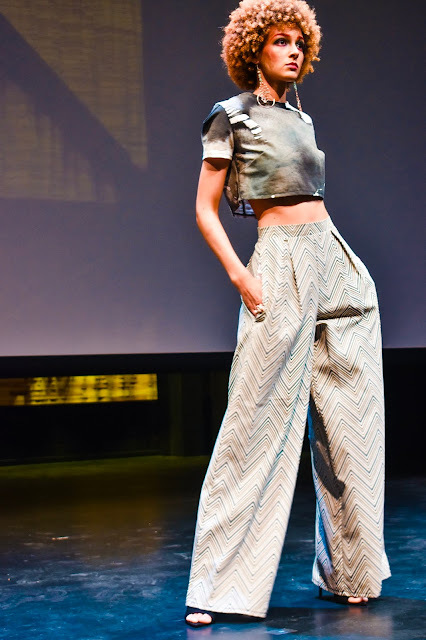 This is Sloane is always a MFW favorite for her avant garde style and out of the box creativity. 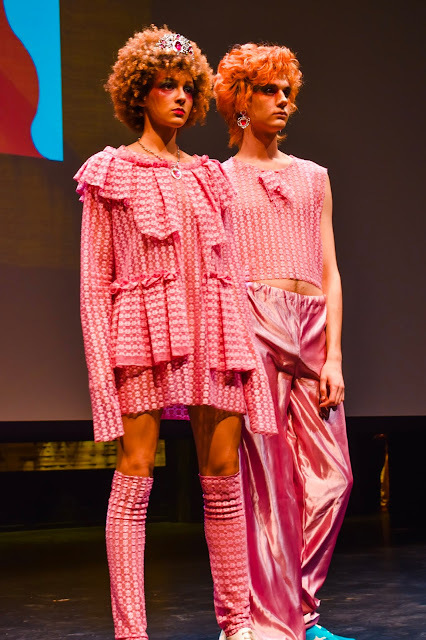 I think fashion is like art in that just because it's not something you would wear doesn't mean you can't admire the creativity and statement in each piece - I actually would wear a few of these pieces though - I'm in love with the sheer pink tops with ruffle details. 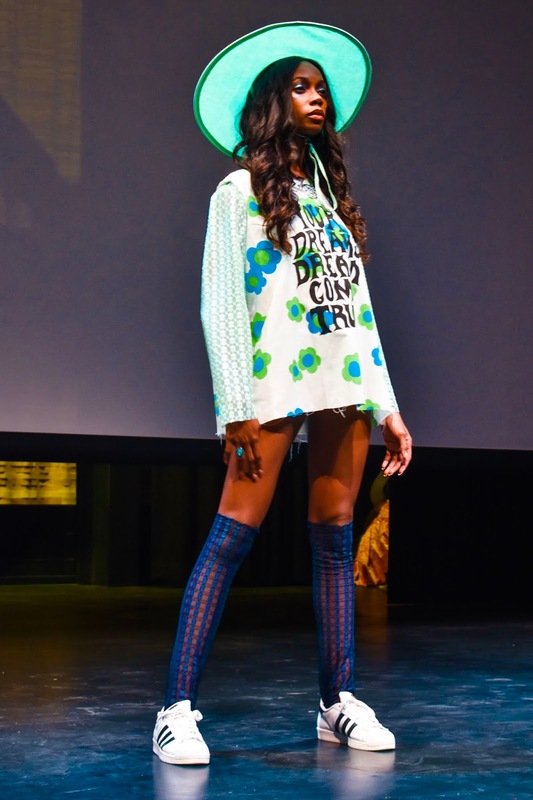 And those hats - swoon! 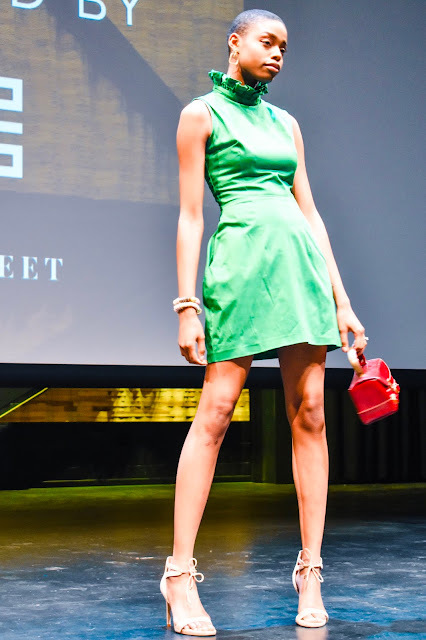 TIENA is another designer that started with the EDP and had become a featured designer. 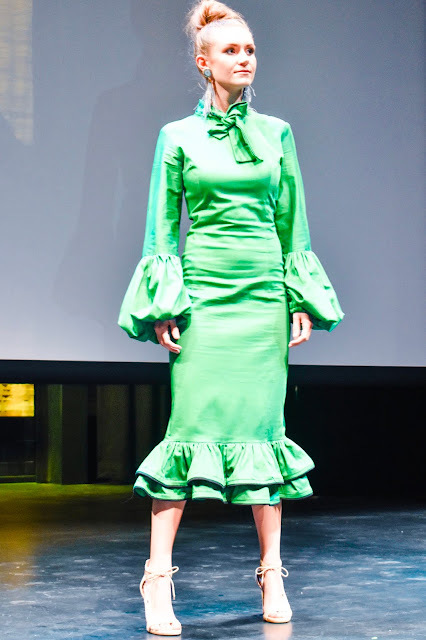 I love her classic pieces with feminine details - I'm always a sucker for a ruffled embellishment. 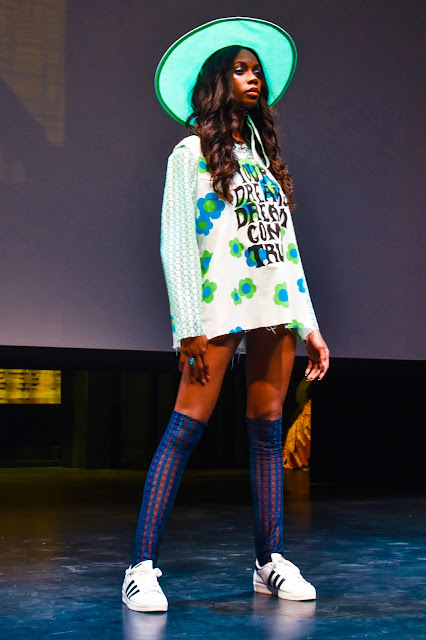 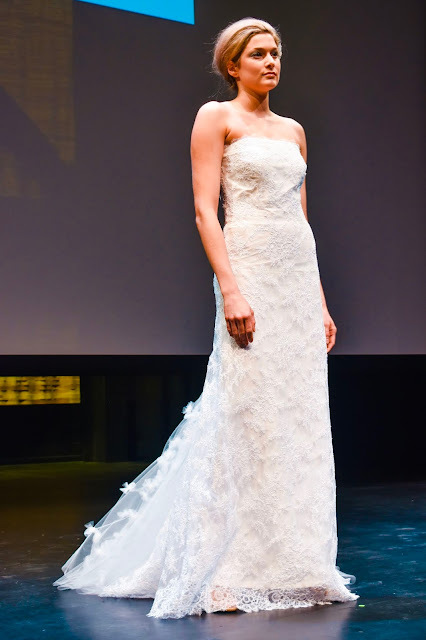 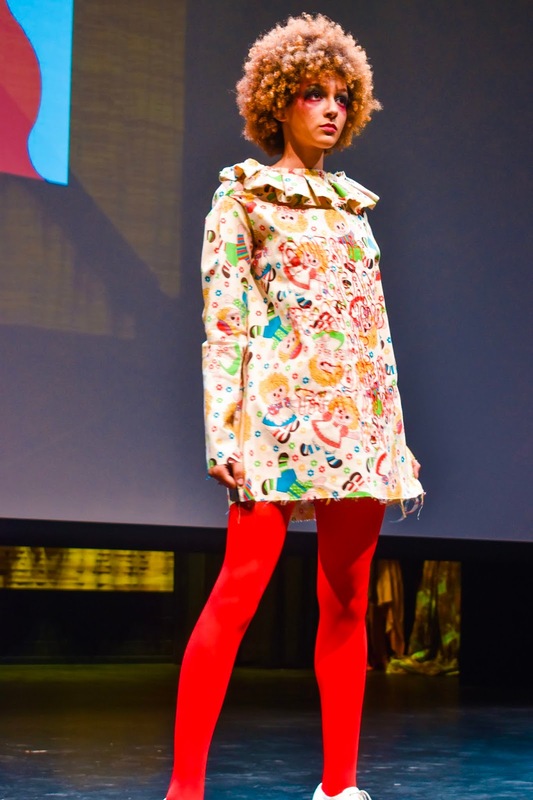 TIENA was the only designer at this show to feature curve models - yay TIENA! I completely understand that it can be difficult to make samples in a variety of sizes so I really appreciate the extra effort TIENA put into her show to be size inclusive and hope to see more in the future. 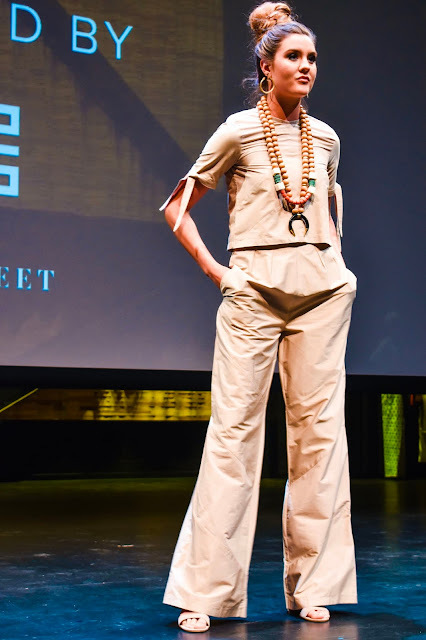 TIENA's designers pared perfectly with Tilton Street jewelry which features natural stones and materials. 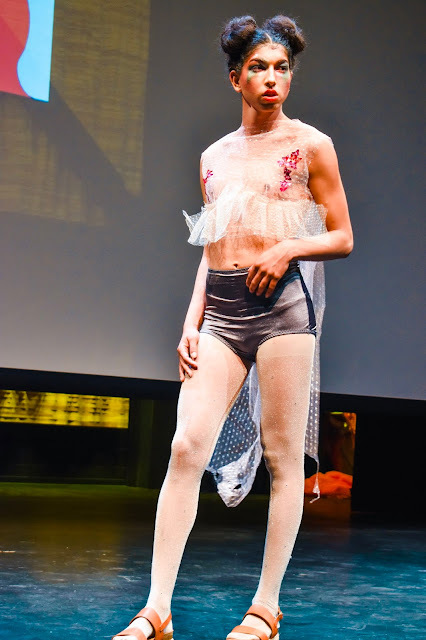 Once again MFW blew me away with beauty and creativity! 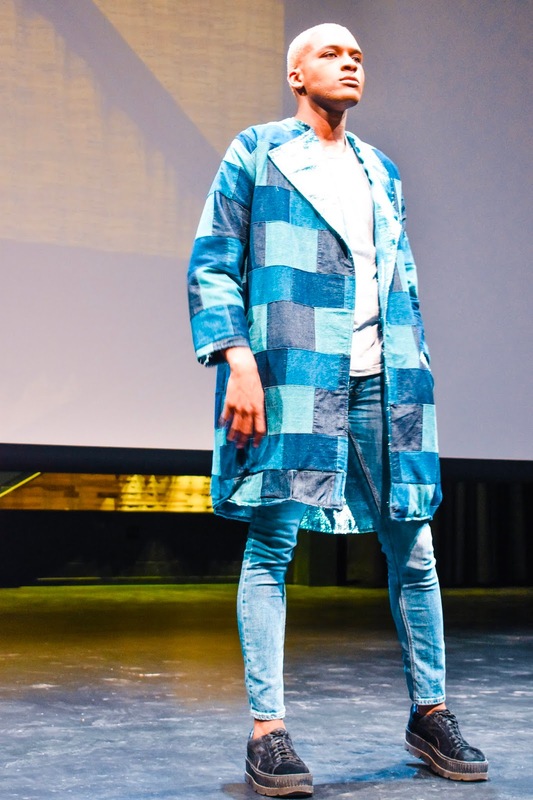 I really enjoyed this year's featured designers and am looking forward to MFW 2020 already.